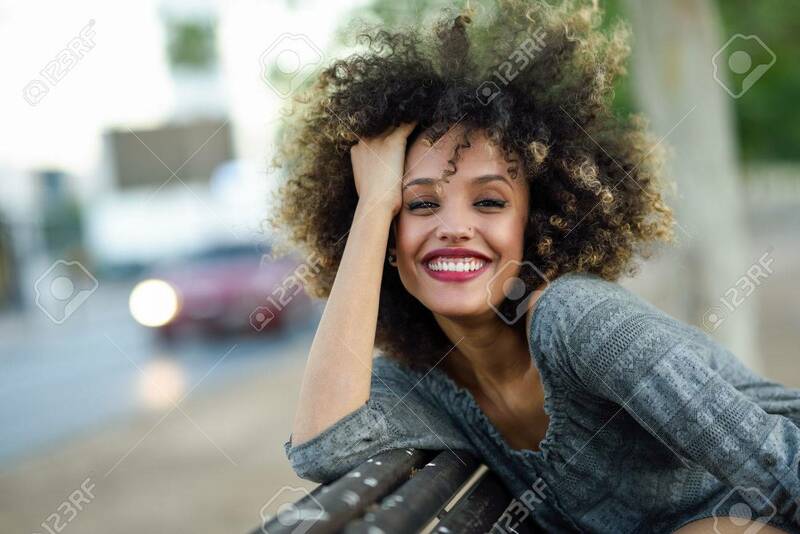 Young Mixed Woman With Afro Hairstyle Smiling In Urban Background... Stock Photo, Picture And Royalty Free Image. Image 77685902. Stock Photo - Young mixed woman with afro hairstyle smiling in urban background. Black girl wearing casual clothes.